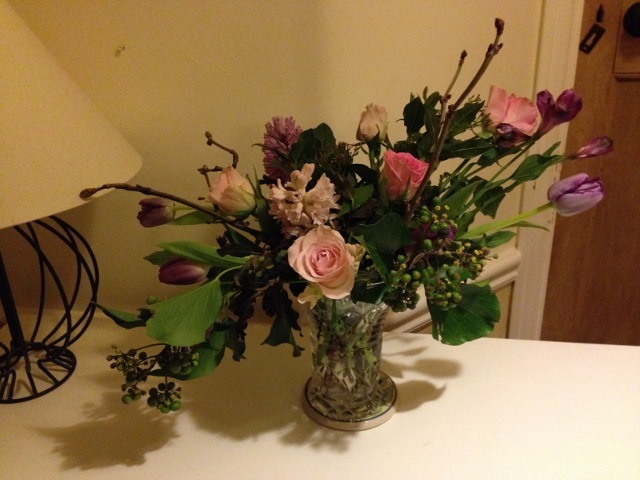 Helena wanted to treat her friends as a way of celebrating her special birthday and asked if I’d come round to her place for a flower arranging party. I was delighted to do so. Helena had set up two tables. One in her dining room, and the other in the adjoining conservatory. She invited six friends. 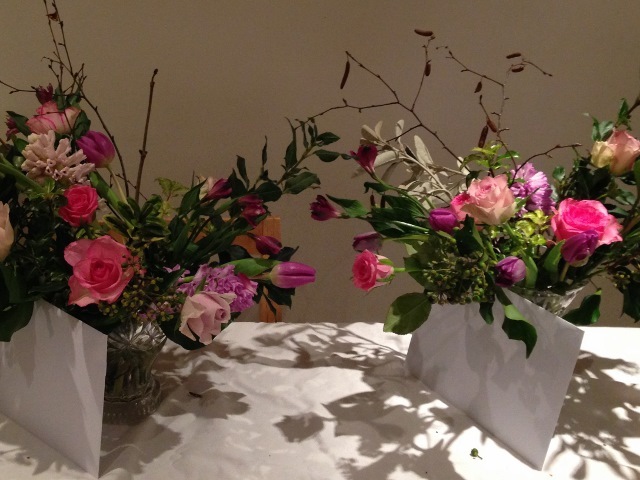 I arrived before Helena’s guests and set out buckets of wrapped flowers, aprons and scissors. There was lots of chatter and laughter as Helena welcomed her friends to her home. Everyone gathered on the sofa and chairs in the conservatory, ready to find out what was in store. I talked the ladies through the design that they were going to create – an arrangement in spring pinks and purples, supplemented with garden greenery in vintage vases. Over the course of the afternoon we shared lots of flowery tips and savoured the most amazing cakes that Helena and her girlfriends had made. 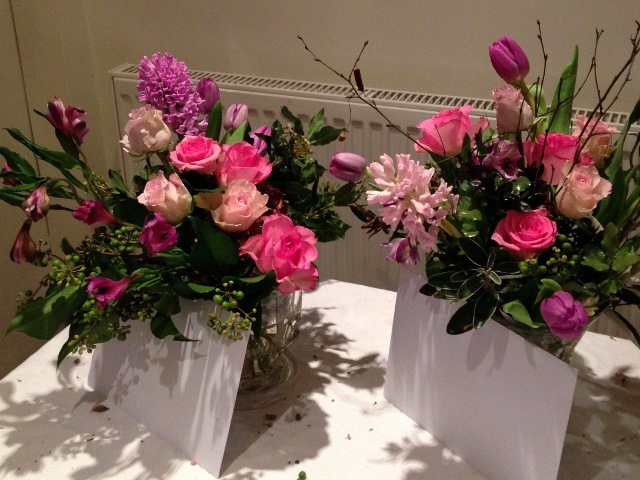 As you can see some stunning arrangements were made. A flower party makes a fabulous alternative to a night on the town. If you’ve got a celebration coming up and you’re searching for an activity that everyone can join in with, I’d be delighted to come round to your place. 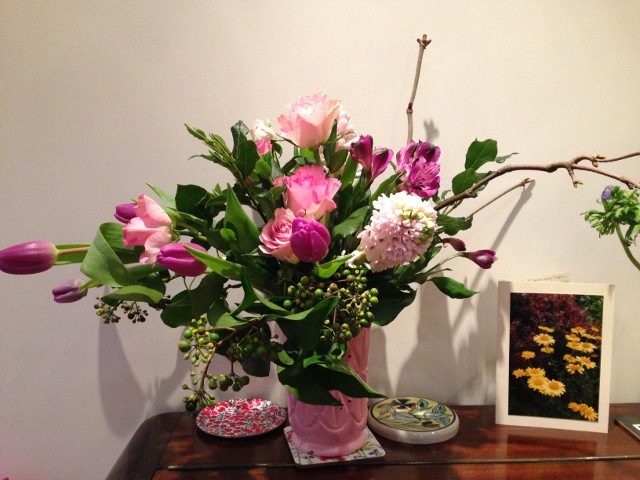 Drop me a line and we can talk about making your day special with flowers. Got the spring time blues?